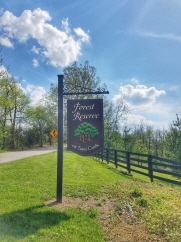 Description: Bedrooms: Beautiful sloped lot located in forest reserve subdivision in nicholasville. Approximately 1 acre corner lot that would be great for a floor plan that includes a walk out basement. Wooded lot, utilities available. Data believed correct but not guaranteed. Buyer to verify data prior to offer. Agents read agent remarks.